Creative minds from around the world gathered in Austin, Texas on March 9-18th at the SXSW Conference to celebrate the synergy of interactive, film and music industries. The Bigbuzz team got to spend the week learning and expanding their minds through attending different conference events. It was an extremely impressive week that energized the team and gave them new creative fuel to bring back to NYC. There was an unbelievable turnout of industry talent and knowledge concentrated in Austin, TX that week including Elon Musk, Guy Kawasaki, and many more. The presentations were innovative and exciting, and it didn’t hurt that Bigbuzz’s own Kevin Kelly was a featured presenter. Among the showcases, screenings, exhibitions and panels, Kevin presented Chatbots & Pixiedust: Extraordinary Service Sells alongside colleagues Clara De Soto and Debbie Zmorenski. It was highly-anticipated with one attendee saying “I was here since last Thursday waiting for this panel”. In the end it was a huge success and has received a lot of buzz with over 1K favorites from industry professionals within the SXSW network, some might even call it magical. If you would like to access to the full presentation, please contact us by clicking here and either emailing kevin@bigbuzz.com or Deborah at our PR agency and we would be thrilled to send you the video link and answer any question you may have. Thank you. We are so pleased that we had such an amazing turn out for our panel "Chatbots & Pixiedust: Extraordinary Service Sells", and fantastic questions and feedback from our audience. 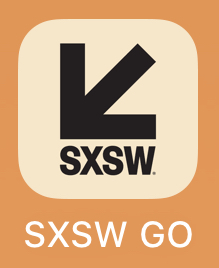 If so inclined, please submit your feedback on the SXSW Go app, so we can continue to bring quality programming to SXSW next year.